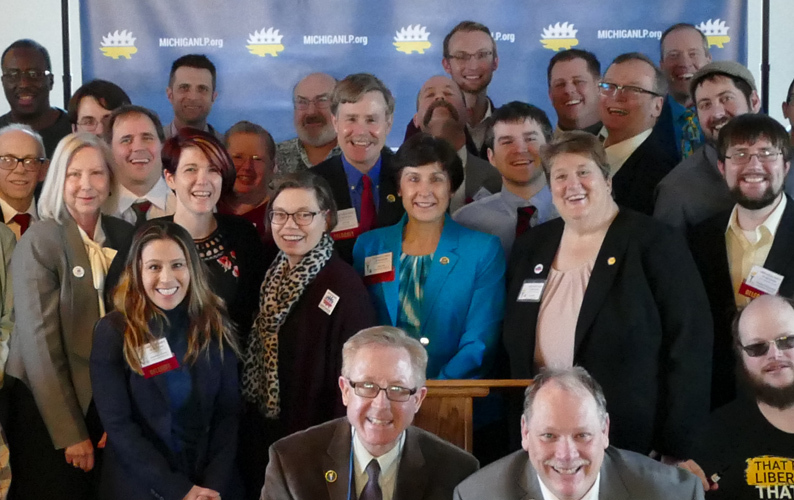 At their state convention in Chelsea this month, the Libertarian Party of Michigan selected Gregory Creswell of Detroit as their candidate for Governor in the November 7 election. Scott Boman was picked for Lieutenant Governor and Bill Hall for the Attorney General spot on the ballot. 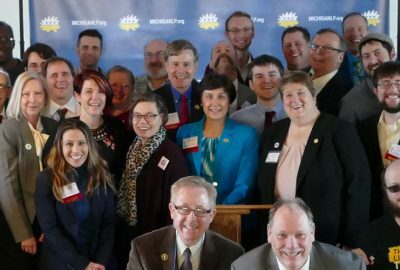 All told, Libertarians filed paperwork for 43 candidates in state and national races, with additional office-seekers in local and county races. With candidates in 13 of the 15 Congressional districts, they continue to uphold their status as the largest, most active party behind the Republicans and Democrats. “As an African-American from Detroit and a member of the only Party supporting the Michigan Civil Rights Initiative (MCRI), Greg Creswell hopes to shed light on the false promise of the affirmative action crutch in his campaign for Governor”, said Libertarian state chair Scott Boman, noting that Mr. Creswell is a volunteer coordinator for the MCRI. He explained that while the passage of the initiative will have little practical effect, it is important to hold the state accountable for upholding the constitution, which requires equal treatment for all. Government-forced affirmative action amounts to state-sponsored discrimination. A candidate for U.S. Senate also emerged from the convention, attorney Leonard Schwartz of Oak Park. 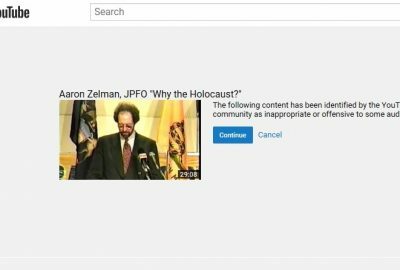 Planning an active campaign, Mr. Schwartz began fundraising early and has garnered some support from his previous bid for Supreme Court in the 2004 election. 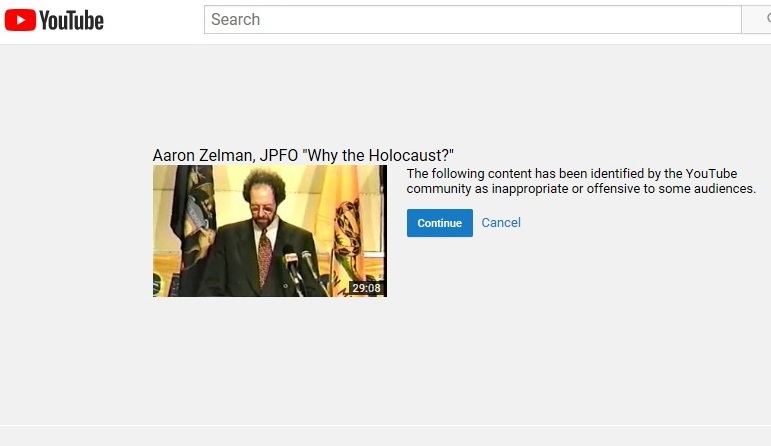 Before domestic restrictions were appealed, YouTube placed this warning when people attempted to view the video. A clipping from the group photo taken by Jess Mears. 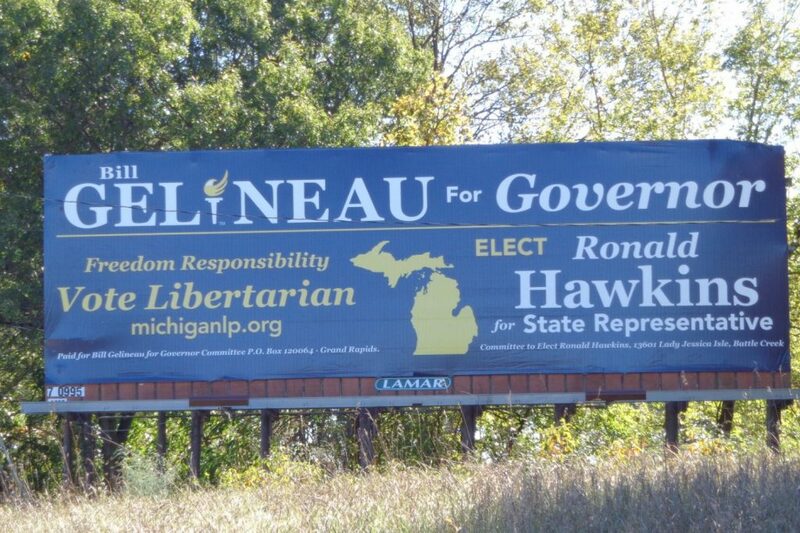 Bill Gelineau and State Representative candidate Ronald Hawkins share billboard.